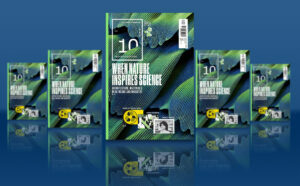 The tenth issue of Technologist is available now and selected articles can be read on the Technologist website. This time round, key features include “Going Zero Waste” (circular economy), “When technology imitates nature” (biomimicry) and “Research Reinvented” (Opening up Science). The core article on Opening Up Science highlights some of the people and projects involved in this year’s EuroTech Universities High Level Event “Opening Up Science, Advancing Innovation”.